Two recent studies have examined the impacts from climate change, one in the European Union (EU), showing effects likely to happen by 2100, and one in the United States (US), showing how extensive effects are now, with some indications of future impacts. The EU study was funded, and supported politically, by the European Commission. See Lancet in Sources. The US study on the state of science relating to climate change and its physical impacts was undertaken by a group of scientists, including the Advisory Committee for the Sustained National Climate Assessment (Advisory Committee), as part of the National Climate Assessment which has been required every four years by the US Congress since 1990. The study is in draft form (June 2017) and is under review by the Trump administration, amidst concerns that Trump will reject or undermine the report that demonstrates the reality and far-reaching impacts from human-induced climate change. See U.S. Global Change Research Program in Sources. The report evaluated the climate change hazards and their spatial and temporal variations in intensity and frequency under a business-as-usual scenario of greenhouse gas (GHG) emissions. A key finding from the EU report is that by 2100 some 152,000 persons per year will suffer from weather-related deaths, compared to 3,000/yr in 1981-2020. About 99% of those deaths will result from more, and more intense, heatwaves. The remainder of deaths by 2100 will follow other forms of weather-related hazards, such as droughts, wildfires, river floods, coastal floods and windstorms, with fewer deaths from cold waves. Global warming accounts for more than 90% of the rise in deaths, while population rise accounts for the remaining 10% of deaths. The increased risk of deaths attributed to climate change will be more evident in southern European countries as a result of a higher rise in the frequency and intensity of heat waves, as well as fewer droughts in northern Europe and more droughts in southern Europe. The differential in effects from droughts is in part because droughts are more lethal in lower-income countries where typically there are poor agricultural techniques and under-nutrition, whereas in higher-income countries people have more diverse diets, from diffuse sources, and more secure access to clean water for all uses. Besides the increase in deaths, there are a series of non-lethal climate change effects that will increase over the period to 2100. Flooding, windstorms and wildfires may not present significantly more deaths but they will produce a variety of injuries. Droughts in southern Europe will lead to reduced water resources for food production, domestic and commercial uses for some 138 million people per year by 2100, as compared to 5 million in recent times. 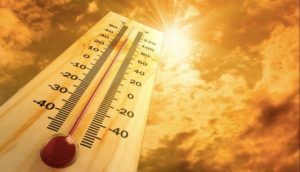 Heatwaves can lead to increased instances of cardiovascular and respiratory diseases, and weather-related disasters can result in more post-traumatic stress disorders and depression. By 2100, about 2/3 of Europeans each year will be affected by weather-related disasters. That means about 351 million Europeans per year will experience the effects, compared to 25 million per year in period 1981-2010. Part of this increased risk is due to demographics with more people alive, especially older people, and more in urban areas, with heat island effects, and in hazard-prone locations, such as coastal zones. For example, the mean proportion of people living in coastal flood-prone areas is expected to increase by 14% in Europe but as much as 192% in Ireland. Very rare weather events, often with high impacts, are estimated to increase in frequency in contrast to high-probability low-impact weather events. The EU report is able to assess impacts expected by 2100 because there is a broad consensus on the current reality of human-induced climate changes and how they are causing significant impacts, which will become more threatening and deadly in the future. In contrast, in the US there remains a portion of the population in general, and a sizeable portion of the Republican party, now in control, that deny the realities of climate change. Thus, in the US the challenge is to demonstrate how climate change is now affecting the US with passing reference to future increased risks. The most recent version of the US Climate Science Special Report, for the National Climate Assessment, is the Final Clearance/Fifth-Order Draft (5OD) of 28 June 2017. As a draft, it cannot be read as a statement of the findings or position of the Trump administration, which is currently reviewing the draft, along with a variety of federal agencies, many headed by climate denialists. It has already become a political football. On 20 August 2017, Trump disbanded an Advisory Committee for the National Climate Assessment that was working to translate the findings of the Assessment into practical advice on how to deal with the climate change impacts. While it is not clear exactly how this action will affect the pending Report, it is safe to say it signals the Trump administration efforts to undermine it. The fundamental tenet of the Report, and likely the most politically contentious statement, is that “This report concludes that ‘it is extremely likely that human influence has been the dominant cause of the observed warming since the mid-20th century. For the warming over the last century, there is no convincing alternative explanation supported by the extent of the observational evidence.” At 12. In most countries, this is close to received wisdom. In the Trump administration, it is heresy. So perhaps the most sensible way of making use of such a “draft” report, which may be rejected, denounced or hidden away by the Trump administration, is to treat it as representative of the thinking of the scientific community in the US about how climate change is impacting the US now, with some suggestions of what the future climate might bring us. The report confirms the wide consensus that temperatures are rising globally and in the US, and will continue to rise. Globally the report finds that with significant reductions in levels of GHG emissions, the temperature could be limited this century to a 3.6°F (2°C) or less; without major reductions, the rise could be by 9.5°F (5°C). In the US, a rise in average annual temperatures of 2.5°F (1.4°C) is expected over next several decades, with a rise of up to 5.8° – 11.9°F (3.2° – 6.6°C) by the end of the century. In a worse case scenario, it is expected that global mean sea level (GMSL) could rise as high as 8 feet (2.4 m) by 2100. The probability of such a rise may be difficult to estimate, but it is disturbing that it can happen, as a result of the unfolding impacts from climate change. 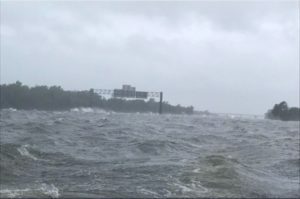 Much of the US report documents the well-established climatic and coastal impacts that are inevitable unless governments take aggressive action to mitigate GHG emissions. But there are several new lessons that stand out. First, a decade or so ago attributing extreme weather events to climate change was subject to significant qualifications and caveats. James Hansen has called this “scientific reticence” where scientists exercise an overabundance of academic caution that undercuts the full impacts of climate change. In this context, Leonhardt, in The New York Times, notes that we cannot with definite certainty link a specific case of lung cancer to smoking, a particular car crash to alcohol, or saved lives to seat belts, but we accept that each risk has created public health crisis and we have regulated the behavior. By now the scientific community is becoming increasingly more confidant in attributing extreme weather events to climate change, especially with regard to the intensification of such events. The confidence is not as high as general temperature and precipitation trends, but it is increasing. Such a development is particularly helpful for climate-denying, or uncertain, audiences in the US where fossil fuel propaganda has contaminated “climate change” but where “extreme” and “weather” still have the power to worry people. The Climate Science report points to a variety of such extreme weather events on the increase: an upward trend in hurricane activity in the North Atlantic since the ’70s; greater intensity and higher precipitation rates from tropical cyclones; more variability with tornado activity across the United States (fewer tornado days, with more tornadoes per tornado day); earlier snowmelt and decrease in snowstorm frequency towards the southern reaches of traditionally snowy climates; a northward shift of winter storm tracks. In addition, there has been an increasing frequency and intensity of “atmospheric rivers” impacting the U.S. West Coast. “Atmospheric rivers” are columns of condensed water vapour in the atmosphere that produces significant levels of rain and snow, especially in the western US. See Sutherland in Sources. These extreme weather events are increasingly more costly, exceeding $1.1 billion since 1980. The second lesson is that the scientific community is better able to assess and predict more localized and specific regional climate impacts, critical data for regional and local governments in preparing for adaptation measures. It is most certainly not the Trump administration but non-federal governments that will carry the burden, and opportunities, of climate change. For example, the US report finds that the frequency and intensity of heat and precipitation events are increasing, and will get worse. 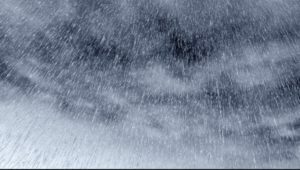 And precipitation will hit the northern US, including Alaska, particularly in the winter and spring, whereas the southeastern US will be drier in the winter and spring. With the increase in urban population across the US, and everywhere else, increases in temperature will be aggravated by the urban heat island effect (lots of concrete, little green space) with higher temperatures in large, dense cities and more humid regions of the country. For other examples, in California the rise in temperatures will bring more frequent and severe hot spells, intensifying heat stress; more precipitation will fall as rain rather than snow, increasing storm water runoff; snow that does fall will melt earlier in the year, leaving less for the warm, dry season; and more moisture will be drawn out of soils and vegetation, increasing stress on crops and ecosystems. All of this will lead to more frequent and severe water deficits, punctuated by wet periods with increasing flood risk. California can adapt to some of these particular impacts (e.g., with coastal defense systems) irrespective of what the Trump administration will refuse or fail to do. And so far it has been reducing GHG emissions while its economy is growing. At the same time, on the east and Gulf coast, with sea level rise, tidal flooding has increased 5- to 10-fold since the 1960s, and will continue to increase in depth, frequency and extent. Florida is particularly vulnerable to sea level rise, especially under a worse case scenario with an 8-foot rise. See ieBLOG in current issue of irish environment on impact of sea-level rise on Trump’s Mar-a-Lago luxury estate. Meanwhile, Alaska is experiencing permafrost thawing, with additional emissions of carbon dioxide and methane. This results from temperatures that have been rising over the past 50 years at twice the rate of global average temperatures. Another aspect of the US report that will create challenges for the Trump administration, is the finding that not only are climate change impacts real, and the result of human activities, but that there are significant possibilities of unanticipated changes, also known as positive feedbacks and tipping points. 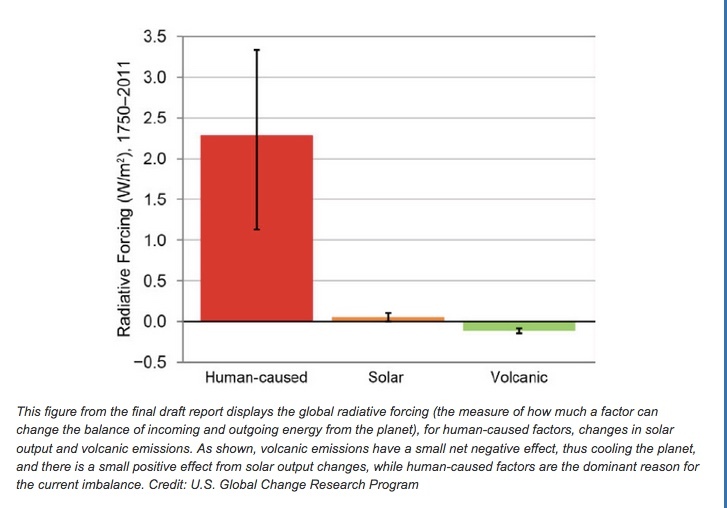 As a result, climate models are more likely underestimating the extent of climate impacts. In the EU context, such findings of significant, disastrous impacts can be managed, in part, by application of the precautionary principle. In the US, such findings will likely meet a stone, unthinking, wall. Whatever the Trump administration does with the US Report, regional and local governments can rely on it to frame their mitigation and adaptation efforts. Like much else in the field of environmental protection in the US, we all have to learn how to ignore Trump and carry on. He won’t be with us forever.